The information flow about crises and conflicts is highly selective, the media only focus on a few major conflicts at a time. Many conflicts are neglected, others soon forgotten after the fighting ends. This book fills the gaps and offers a systematic overview of all crises and conflicts in and among states since 1945 and traces the global trends of conflict development. 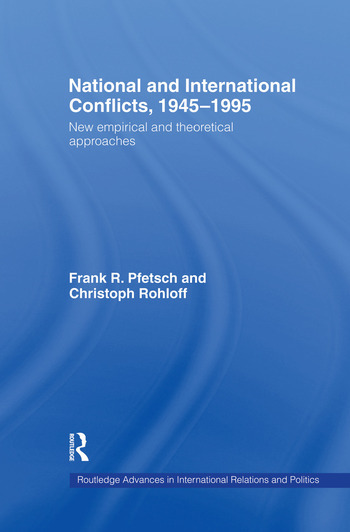 Based on the broad empirical basis of the Conflict Simulation Model KOSIMO, Pfetsch and Rohloff use an integrated approach to cover many forms and types of political conflicts, both peaceful and violent.